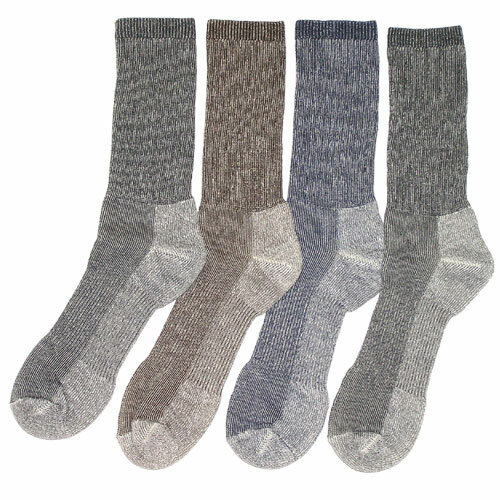 This 4 PAIR PACK of Warm Merino Wool Outdoor Trail Socks make a great gift for the holidays. This rich blended fabric is durable, lightweight, cool, stretchy, super soft and extremely comfortable. They are made in the USA and are an unbeatable value. 1 out of every 3 customers that purchase these come back and purchase more. Don't miss out. Our manufacturer makes these through the first few months of the fall/winter season.